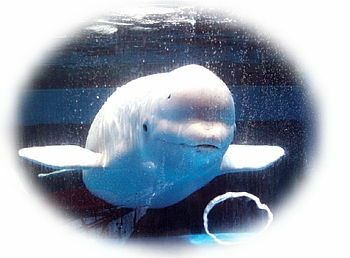 The beluga, or white whale, is known for its intelligence and playful nature. Unlike many other marine mammals, beluga whales like to work closely with humans. 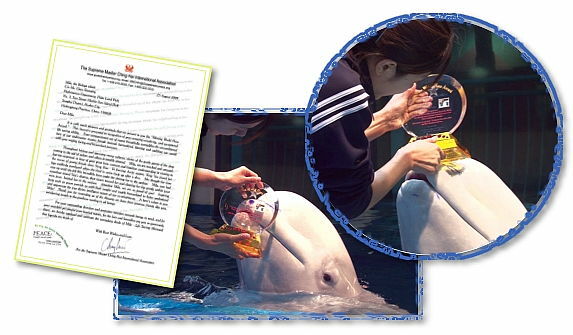 Last year, a 9-year-old beluga named Mila from the Polar Land Theme Park in Harbin, northeast China, saved the life of a diver. While participating in a diving contest, Ms. Yang Yun’s legs were suddenly paralyzed by the freezing water when she tried to swim back up after a dive. Recalling the moment, Yang Yun said, “I began to choke and sank even lower. I thought that was it for me—I was dead—until I felt this incredible force under me driving me to the surface.” It was Mila, who sensing the danger, swam toward Yun, clasped the young woman’s legs gently with her mouth, and brought her to safety. Since then, Yun has felt a special connection with Mila.